This original vintage 70 leisure jacket has a massive open fly collar. It should extend further than the collar on any shirt collar lying on top of it. The color is a very pale green with contrasting dark green marbled buttons and contrasting stitching. 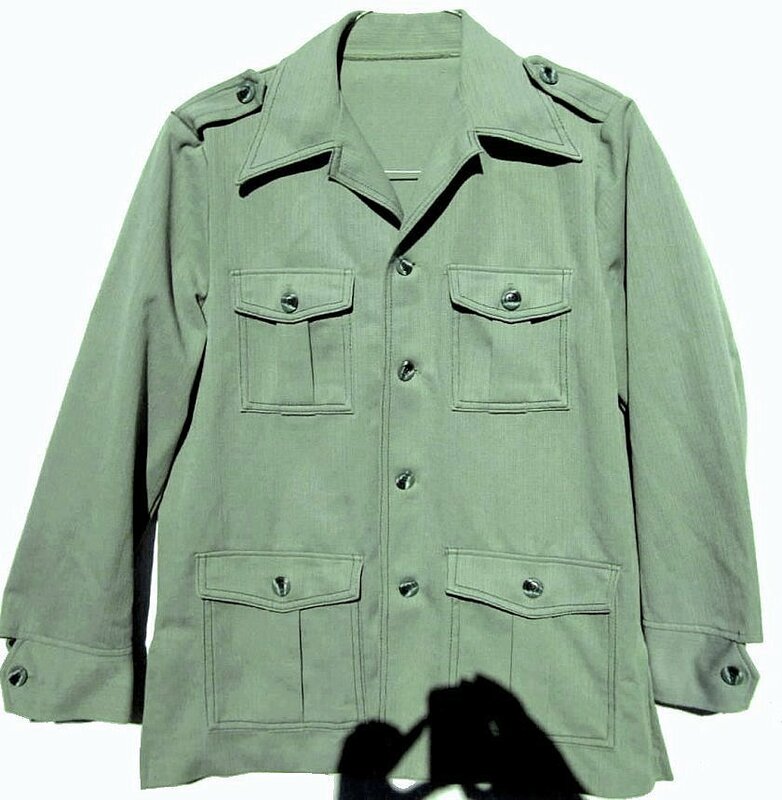 The polyester knit jacket should match any darker green 70s pants. I may even have the pants that came with this. The jacket is 46" around when buttoned for a loose 42" chest fit. The shoulder is 18 1/4", more a medium shoulder fit. The sleeve length is 31" so that a colorful shirt cuff can peek out. The leisure jacket has mild wear.